Shippers and forwarders are increasingly dissatisfied with the performance of shipping lines, according to a new survey. 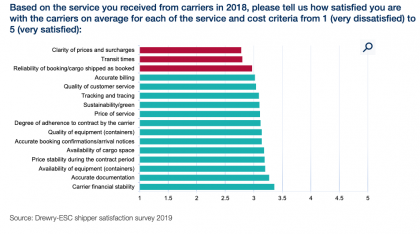 This is in direct contrast to air freight, where 16% of shippers were “very happy”with their transport provider, against 6% of box line customers. 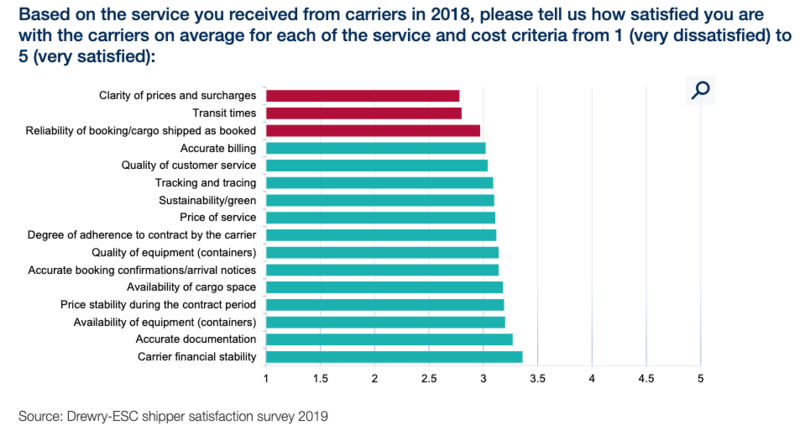 Lack of clarity on container line charges, transit times and reliability scored the lowest on the satisfaction survey, carried out by Drewry and the European Shippers’ Council. 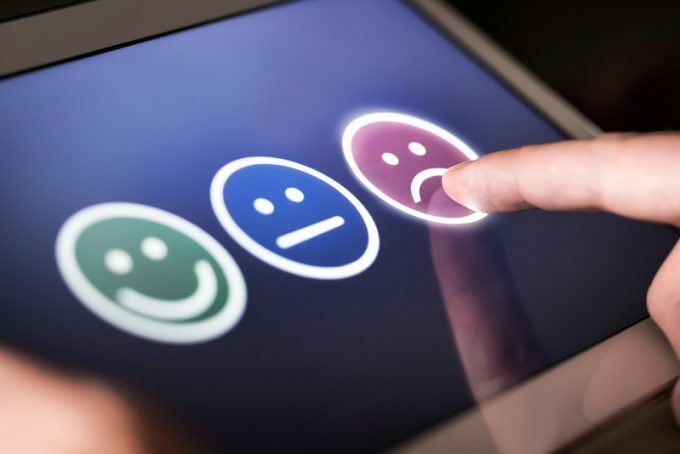 Overall, ocean carrier customer satisfaction dropped 0.1 points since last year’s survey, with an average score of 3.1, on a scale of 1 (very dissatisfied) to 5 (very satisfied). Prices and surcharges, transit times, and reliability of booking/cargo shipped as booked fared least well, with points of between 2.8 and 3. Carrier financial stability scored best, and was improved from 2017, along with accurate documentation and availability of containers, which all received scores of between 3.2 and 3.4. Overall, only 4% of customers were “very dissatisfied” with carrier service, but only 6% were “very satisfied”. Drewry and the ESC said the survey showed the lines needed to improve their price transparency. “It is very clear that clarity of prices and surcharges has become a key topic for shippers and forwarders – particularly medium-sized ones,” said Philip Damas, head of the logistics practice at Drewry. “Starting from the 2018 emergency fuel surcharges, and continuing with the current uncertainty over post-IMO 2020 fuel surcharges, we expect the conversation between carriers and shippers to remain ongoing in 2019. The ESC, which last month published a position paper on the Block Liner Exemption, said the results supported its position. In its paper, the ESC noted that while “clear underperformance has been evidenced, it cannot be fully quantified nor properly remedied because the objectives of the consortia, in terms of efficiency, have never been made public and are not transparent to the other stakeholders, in particular, the carriers’ customers. “The absence of a dialogue is raising the frustrations and is negatively impacting on the economy on all sides,” it continued. IATA has also carried out a shipper satisfaction survey, in February, on air freight. While the association does not appear to have published it, it released some of the results at its World Cargo Symposium event in Singapore last month. 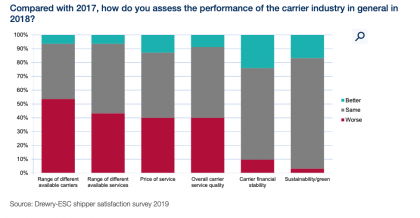 Some 16% of shippers were “very happy” with the service provided by air carriers, while only 8% were “very unhappy” – some of which referred to the capacity crisis at the end of 2017. Interestingly, more than half, 52%, said they could see themselves using more air freight in the future, suggesting that the modal shift of recent years has halted somewhat. And, surprisingly, 69% thought air freight was equal to, or more competitive than, other modes of transport.